Before we could even think about crossing the border with the car we had to have insurance. 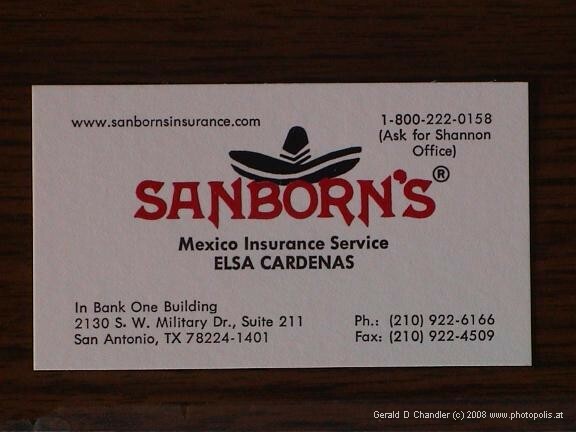 We started at the AAA in San Antonio where a friendly lady advised us to try with a Mexican company called Sanborn's. Of course in our ignorance we didn't have any idea how big a company Sanborn's is in Mexico. Since then we have shopped in their department stores and eaten in their restaurants many a time. Next job was to import the car into Mexico and get visas for ourselves. 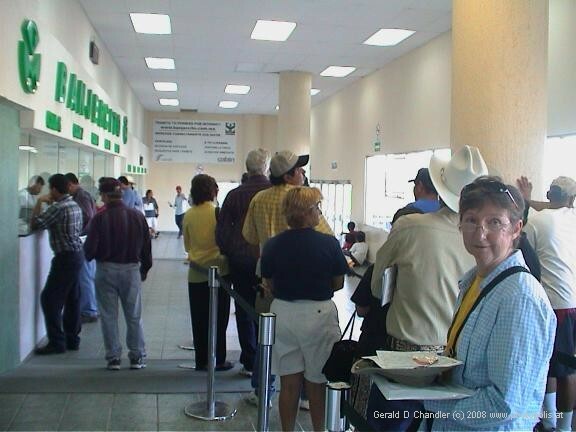 Here you see Jan standing in line for the privilege of paying $25 to import the car temporarily into Mexico. The import procedure is quite sophisticated and designed to prevent the importation of cars into Mexico illegally. If we don't complete the correct procedure when we leave the country, the cost of the car and the import tax due on it will be automatically deducted from our credit card. Pretty strong disincentive, no? And here's what we got for our money. 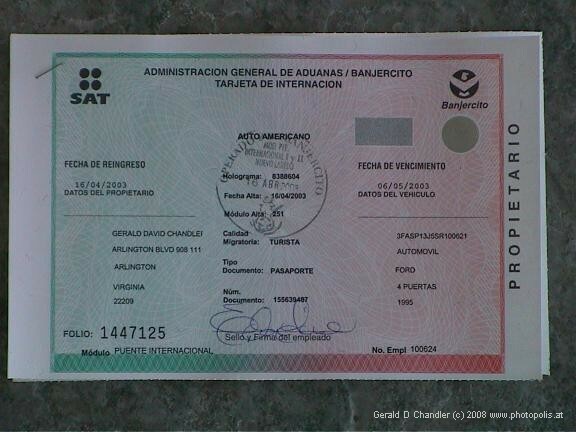 That and a fancy sticker to put in our window showing the date when the temporary import permit would expire. 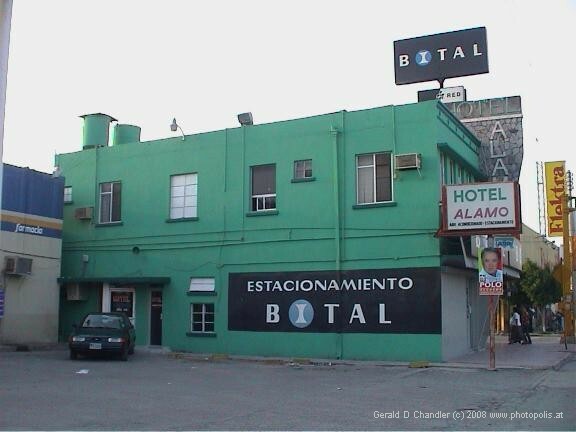 We were now legal visitors to Mexico for the first time and so around 4 p.m. one summer afternoon we drove out of Nuevo Laredo and very tentatively at first drove towards Monterrey feeling very conspicuous with our Virginia plates.